I get as expected > as my prompt, and the current working directory shows up in the window title. 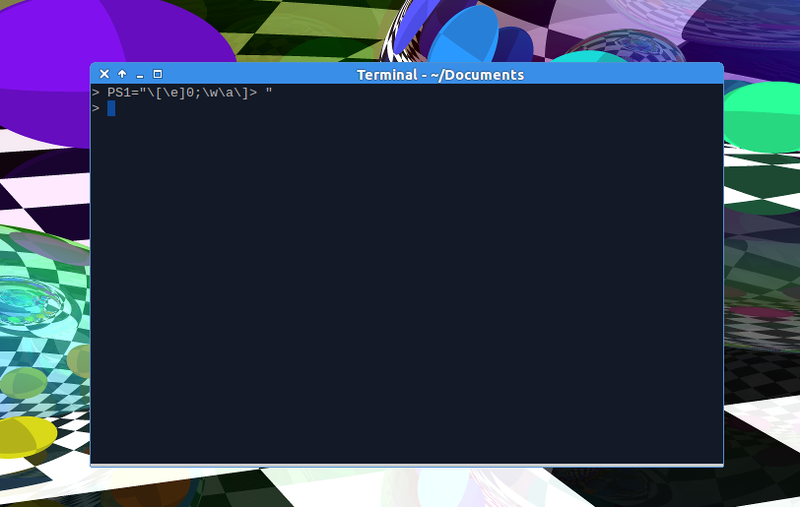 But instead of just being ~/Documents, the window's title is Terminal - ~/Documents. 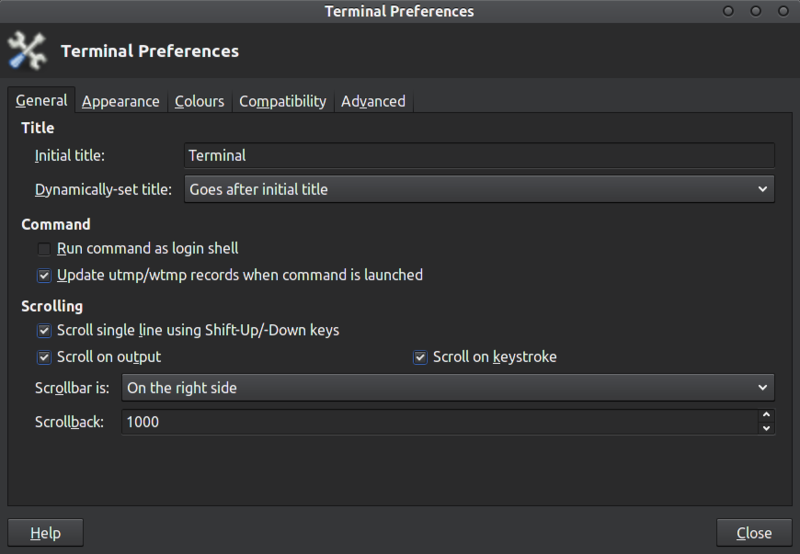 How can completely customize xfce4-terminal's window title, and get rid of the Terminal - part? Change the Dynamically-set title to Replaces initial title. Not the answer you're looking for? Browse other questions tagged window titlebar xfce4-terminal or ask your own question. How to get rid of titlebar?